Lotfi, M., Najafian, N. (2017). Evaluating alternative MPS development methods using MCDM and numerical simulation. Journal of Industrial and Systems Engineering, 10(special issue on production and inventory), 73-90. Mohammad Mehdi Lotfi; Negin Najafian. "Evaluating alternative MPS development methods using MCDM and numerical simulation". Journal of Industrial and Systems Engineering, 10, special issue on production and inventory, 2017, 73-90. Lotfi, M., Najafian, N. (2017). 'Evaluating alternative MPS development methods using MCDM and numerical simulation', Journal of Industrial and Systems Engineering, 10(special issue on production and inventory), pp. 73-90. Lotfi, M., Najafian, N. Evaluating alternative MPS development methods using MCDM and numerical simulation. Journal of Industrial and Systems Engineering, 2017; 10(special issue on production and inventory): 73-90. One of the key elements in production planning hierarchy is master production scheduling. The aim of this study is to evaluate and compare thirteen alternative MPS development methods, including multi-objective optimization as well as twelve heuristics, in different operating conditions for multi-product single-level capacity-constrained production systems. We extract six critical criteria from the previous related researches and employ them in a MCDM framework. The Shannon entropy is used to weight the criterion and TOPSIS is proposed for ranking the alternative methods. To be able to generalize the results, 324 cases considering different operating conditions are simulated. The results show that the most important criteria are instability and inventory/setup costs, respectively. A performance analysis of MPS development methods is reported that the heuristics provides better results than multi-objective optimization in many conditions. A sensitivity analysis for critical parameters is also provided. Finally, the proposed methodology is implemented in a wire & cable company. Akhoondi, F., Lotfi, M.M. (2016). A heuristic algorithm for master production scheduling problem with controllable processing times and scenario-based demands, International Journal of Production Research, 54(12): 3659-3676. Dixon, P.S., Silver, E.A. (1981). A heuristic solution procedure for the multi-item, single level, limited capacity, lot sizing problem, Journal of Operations Management, 2 (1): 23-40. Eisenhut, P.S. (1975). A dynamic lot sizing algorithm with capacity constraints, IIE Transactions, 7 (2): 170-176. Gahm, C., Dünnwald, B., Sahamie, R. (2014). A multi-criteria master production scheduling approach for special purpose machinery, International Journal of Production Economics,149: 89-101. Gunther, H.O. (1987). Planning lot sizes and capacity requirements in a single stage production systems, European Journal of Operational Research, 31 (2): 223-231. Hajipour, V., Fattahi, P., Nobari, A. (2014). A hybrid ant colony optimization algorithm to optimize capacitated lot-sizing problem, Journal of Industrial and Systems Engineering, 7(1):1-20.
analysis of performance by rule, Production Planning & Control, 5(4): 381-391. Herrera, C., Belmokhtar-Berraf, S., Thomas, A., Parada, V. (2015). A reactive decision-making approach to reduce instability in a master production schedule, International Journal of Production Research, 54(8): 2394-2404. Jeunet, J., Jonard, N. (2000). Measuring the performance of lot-sizing technique in uncertain environment, International Journal of Production Economics, 64 (1-3): 197-208. Jonsson, P., Kjellsdotter, L. (2015). Improving performance with sophisticated master production scheduling, International Journal of Production Economics, 168, 118-130. Karimi, B., Ghomi Fatemi, S.M.T., Wilson, J.M. (2003). The capacitated lot sizing problem: a review of models and algorithms, Omega, The international Journal of management science, 31: 365-378. Kirca, O., Kokten, M. (1994). A new heuristic approach for the multi-item dynamic lot sizing problem, European Journal of Operational Research, 75 (2): 332-3241. Lambrecht, M.R., Vanderveken, H. (1979). Heuristic procedures for the single operation, multi-item loading problem, IIE Transactions, 11 (4): 319-325. Maes, J., Van Wassenhove, L.N. (1986). A simple heuristic for the multi-item single level capacitated lot sizing problem, Operations Research Letters, 4 (6): 265-273. Ponsignon, T., Mönch, L. (2014). Simulation-based performance assessment of master planning approaches in semiconductor manufacturing, Omega, The international Journal of management science, 46: 21-35. Razmi, J., Lotfi, M.M. (2011). Principles of production planning and inventory control, Tehran University Publications. Selen, W.J., Heuts, R.M. (1989). A modified priority index for Gunther’s lot-sizing heuristic under capacitated single stage production, European Journal of Operational Research, 41 (2): 181-185. Soares, M.M., Vieira, G.E. (2009). A new multi-objective optimization method for master production scheduling problems based on genetic algorithm, International Journal of Advanced Manufacturing Technology, 41 (5): 549-567. Sridharan, S., Beny, W., Udaya Bhanu, V. (1988). Measuring master production schedule stability under rolling planning horizon, Decision Sciences, 19 (1): 147-166. Supriyanto, I., Noche, B. (2011). Fuzzy multi-objective linear programming and simulation approach to the development of valid and realistic master production schedule, Logistics Journal, 7: 1-14. Unahabhokha, C., Schuster, E.W., Allen, S.J., Finch, B.J. (2003). Master production schedule stability under conditions of finite capacity, Working Paper, Massachusetts Institute of Technology. Vieira, G.E., Favaretto, F. (2006). A new and practical heuristic for master production scheduling creation, International Journal of Production Research, 44(18-19): 3607-3625. Xie, J., Zhao, X., Lee, T.S. (2003). Freezing the master production schedule under single resource constraint and demand uncertainty, International Journal of Production Economics, 83 (1): 65-84. Xie, J., Zhao, X., Lee, T.S., Zhao, X. (2004). 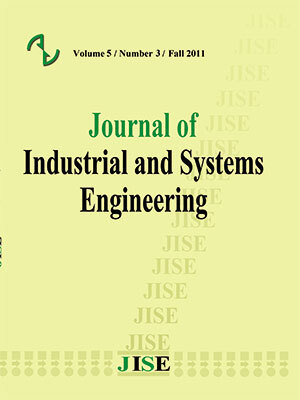 Impact of forecasting error on the performance of capacitated multi-item production systems, Computers & Industrial Engineering, 46 (2): 205-219. Zhao, X., Lam, K. (1997). Lot-sizing rules and freezing the master production schedule in material requirements planning system, International Journal of Production Economics, 53 (3): 281-305. Zhao, X., Xie, J. (1998). Multilevel lot-sizing heuristics and freezing the master production schedule in material requirements planning systems, Production Planning & Control, 9(4): 371-384. Zhao, X., Xie, J., Jiang, G.S. (2001). Lot-sizing rule and freezing the master production schedule under capacity constraint and deterministic demand, Production and operations management, 10 (1): 45-67.